Leo M. Hartz, MD, MHM , CHCQM, a family physician and Fellow of the American Academy of Family Physicians, has over 35 years of practice and management experience. His most recent position was Vice President of Clinical Operations and Chief Medical Officer for Blue Cross of Northeastern Pennsylvania. Previously he was the Medical Director of the 150 member Northeastern Pennsylvania Physicians Organization. He currently serves as Director of Quality and Utilization for BCE Healthcare Advisors. 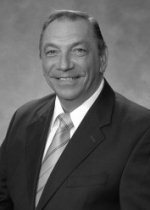 Dr. Hartz has served on the Board of Directors of the Lycoming County Medical Society and later as its President. He was also on the Board of Directors and later President of the Pennsylvania Academy of Family Physicians. He has taught medical students and residents in several family practice residency programs, and has developed and taught masters level courses in managed care at Wilkes University in Wilkes-Barre, PA and Marywood University in Scranton, PA., as well as an Administrative Medicine Course at BCNEPA. Dr. Hartz received his medical degree from George Washington University in Washington, D.C., and a Master of Healthcare Management degree from California Coast University. He is Board Certified in Family Medicine and held a CAQ in Geriatrics for 20 years. In addition, he is certified by the American Board of Quality Assurance and Utilization Review Physicians with sub-specialty certification in Managed Care, is a Fellow of the American Institute for Healthcare Quality, and is a member of the National Association of Corporate Directors.